Your roofline is one of the most important parts of your property’s exterior, providing added protection for the edge of your home where your roof meets the walls, as well as supporting features such as your guttering, fascias and soffits. 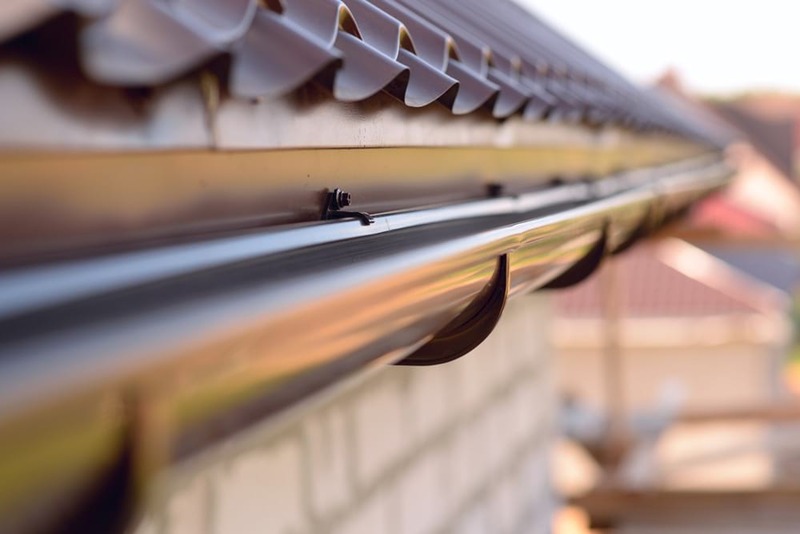 Being fully exposed to the elements such as rain, wind, airborne debris and snow, it’s important that every part of your roofline provides adequate protection for your home. UPVC is one of the most popular options when replacing parts or upgrading your roofline’s features, and here are a few of the reasons why. As a strong, durable material, uPVC can withstand some of the harshest weather conditions, making it ideal for roofline features. It’s a made to measure product so can be manufactured to fit your property specifications perfectly. Not only is uPVC structurally strong, supporting everything from the base of your tiles to your gutters, but it’s a good insulator too. As a low maintenance, weather resistant material, uPVC can cope with a battering from the elements without losing its strength, making it a great alternative if replacing old wooden rooflines. Many older houses used timber for the roofline when built, and this can leave homes facing issues such as rotting features and regular repainting requirements. UPVC replacements lower the amount homeowners spend on roofline repairs, as well as eliminating the constant stress and hassle of ensuring your roofline remains in good condition. If issues are left unrepaired, it can lead to other problems such as damage to your brickwork, leaking gutters or water ingress within your property. Another benefit of uPVC lasting for many years is that it looks attractive too. There’s no more embarrassment of rotting cladding when visitors arrive, and if you sell your house in the future, you won’t have to worry about your roofline’s poor condition turning potential buyers away. UPVC is incredibly versatile, so homeowners can choose a new roofline to suit their property style perfectly, including its shape, design and colour. When upgrading their roofline, many property owners also add a bargeboard, complementing the rest of the building. UPVC’s durability means its colour won’t fade over time, giving your home’s exterior an attractive makeover. UPVC upgrades are also a great option for commercial buildings, achieving a professional look that will give others the best first impression of your business. Want to upgrade your property’s roofline? Here at Collier Roofing, we offer a specialist service for this, including new fascias, soffits, bargeboards and cladding in high quality uPVC. Our roofers work across London, Surrey and surrounding areas, including Reigate, Redhill and Banstead. Key features of selecting our uPVC roofline products include a range of colours, installations guaranteed for a minimum of ten years as standard and access to leading brands such Deeplas, Swish and Deceuninck. If you’d like professional advice about your roofline, more information about our uPVC products or receive a free, no obligation quote, get in touch now.